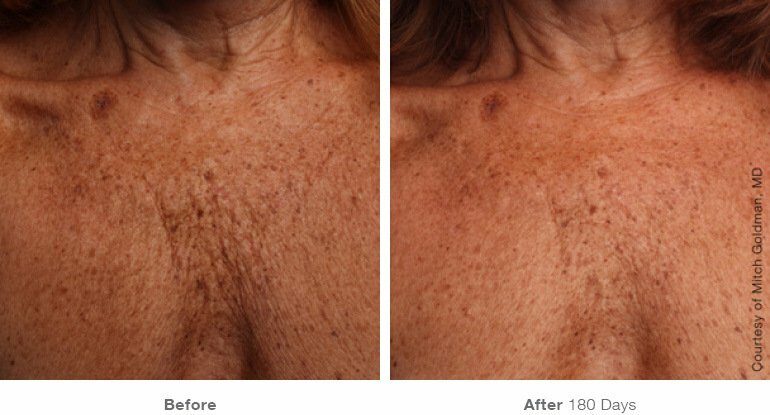 Now Introducing: Ultherapy – Decolletage! 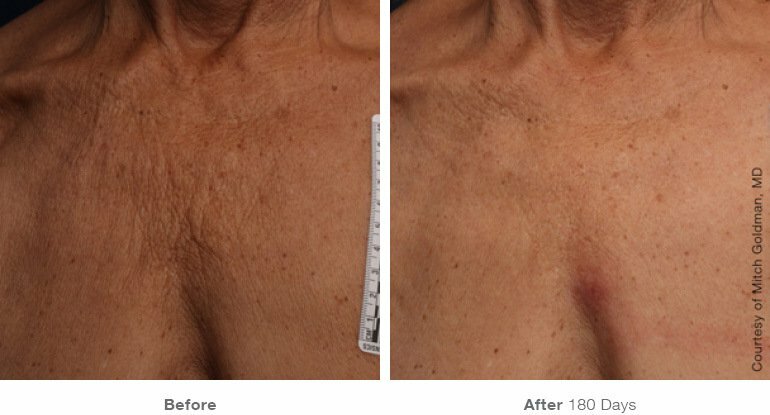 The Ultherapy Décolletage Treatment is the only non-invasive procedure supported by the FDA to improve lines and wrinkles on the chest. 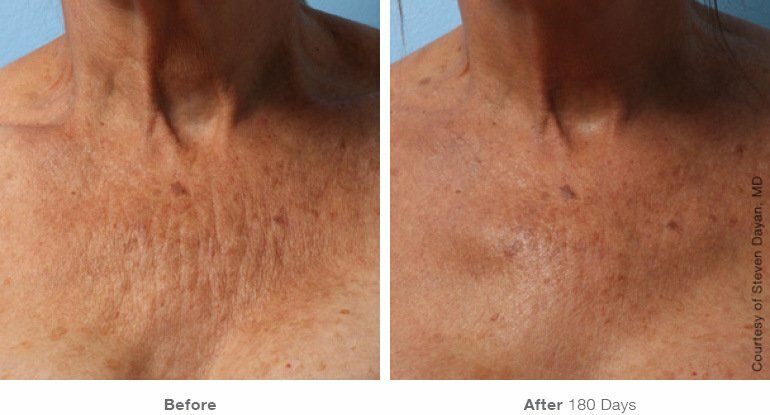 The treatment utilizes the Ulthera System’s imaging and ultrasound therapy capabilities to non-invasively treat the chest to reduce lines and wrinkles of the décolleté. The treatment takes about 30 minutes to smooth the skin by stimulating collagen and elastin to naturally form within the skin’s foundation. After just one treatment, results become visible in about three months with no downtime or post-treatment care requirements. A good candidate for Ultherapy is someone with skin that has "relaxed" to the point of looking, and often feeling, less firm. A lowered brow line or sagging skin on the eyelids, for instance, is often the first sign of "maturing" skin. There are many people who want some lifting but are not ready for surgery - mentally, financially or logistically. Patients may enjoy some initial effect, but the ultimate lifting and toning will take place over 2-4 months, as tired collagen is renewed and replaced with new, stronger collagen. With Ultherapy, there is NO downtime! You are able to return to your normal activities right away. To schedule a consultation call our New York City location (212) 257-9873 or our satellite office in Scarsdale (914) 574-2709.